Running a business often means managing a whole lot of moving parts and working long hours, but there are ways to work smarter, not harder. Some simple mental tricks can improve your efficiency and quality of work – without keeping you in the office all night. 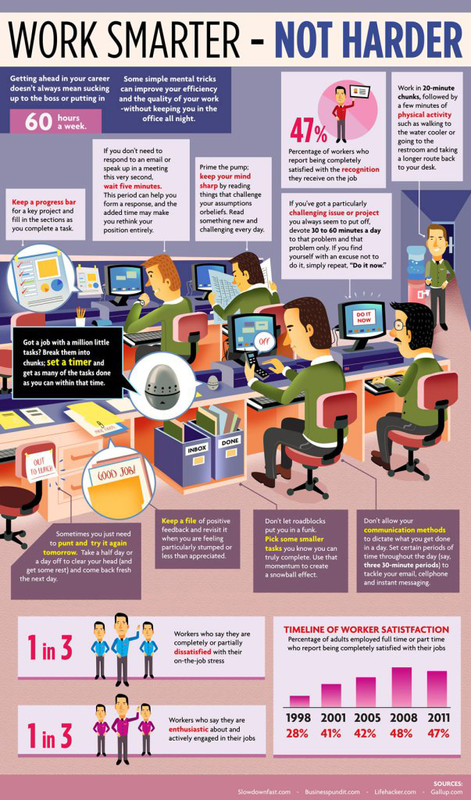 This week, we wanted to share this helpful infographic on how to WORK SMARTER – NOT HARDER. Get useful tips – like how to breakthrough project block, or how to organize your daily task list for maximum efficiency. Remember too to check out our Facebook page at www.facebook.com/demandforce and like us to keep up-to-date with the latest news and advice from our team.